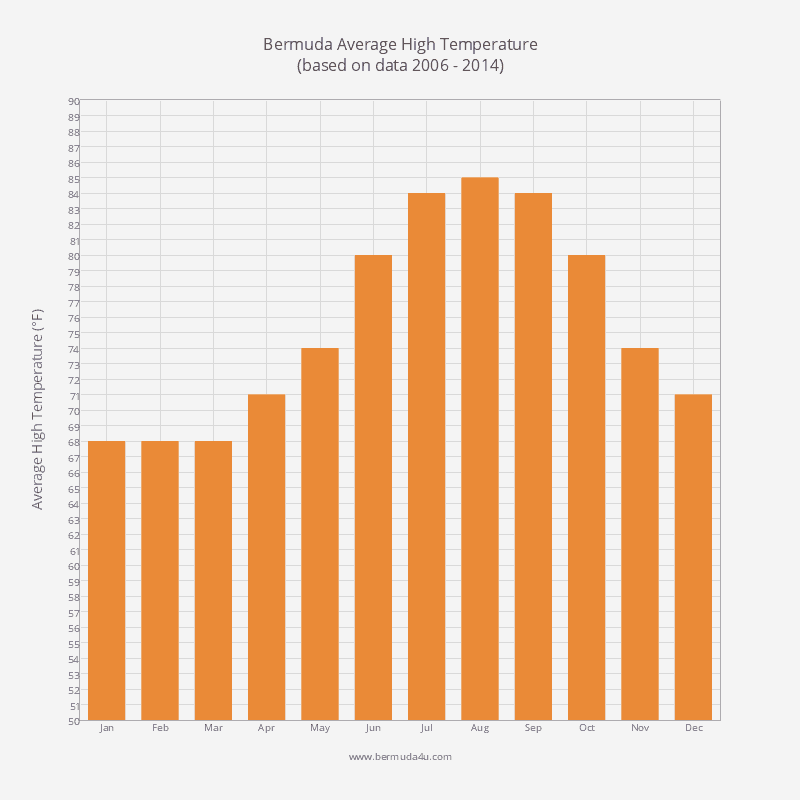 July is one of the hottest months of the year in Bermuda. The summer season is well underway and all cruise ships are now making regular visits to the island. The average daily high temperature is 84 F. The average daily low is 77 F.
The water is now around 83 F and great for swimming and snorkelling. Divers will feel comfortable in a shorty. 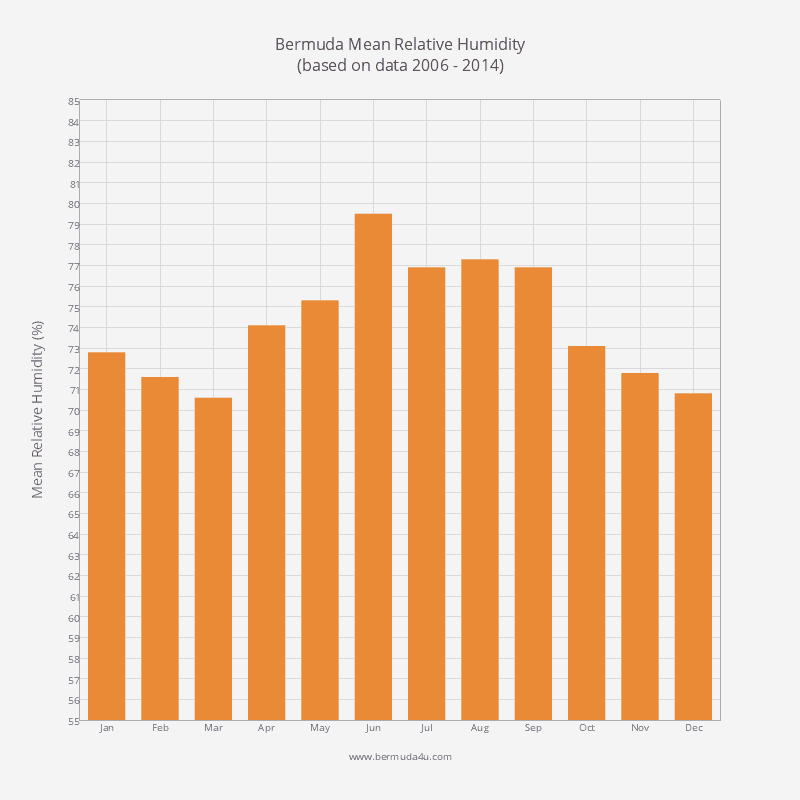 Relative humidity is fairly high year round, but July is one of the most humid months in Bermuda. The combination of high temperatures and humidity can lead to severe hydration, sunburn, and sunstroke if precautions aren’t taken. Wear plenty of sunscreen, drink lots of water, and cover up. If you are affected, spend a day or two away from the beach and visit some of the island’s excellent tourist attractions. 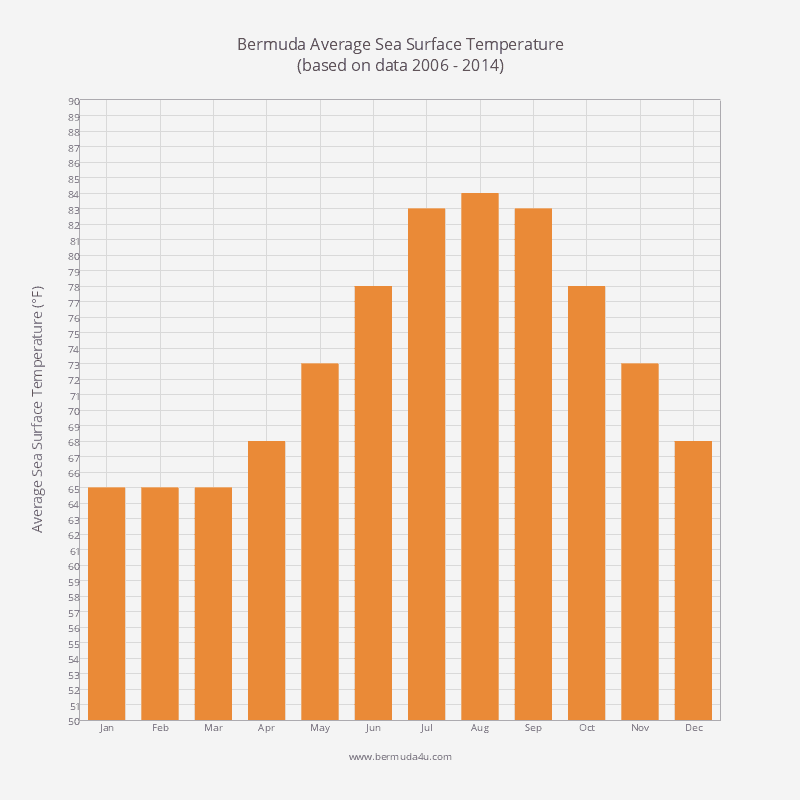 July is also the sunniest month in Bermuda, with an average of nine hours of sunshine each day. The sun rises around 6.25 am and sets at 8.25 pm. Events in July include Harbour Nights, and Gombey Saturdays in the Park. The month also sees fishing tournaments such as the Bermuda Triple Crown Billfish Championship, and the Bermuda Anglers Club 4-Day International Light Tackle Tournament. Bermuda’s sizeable population of Canadian expats celebrate Canada Day on the beach. 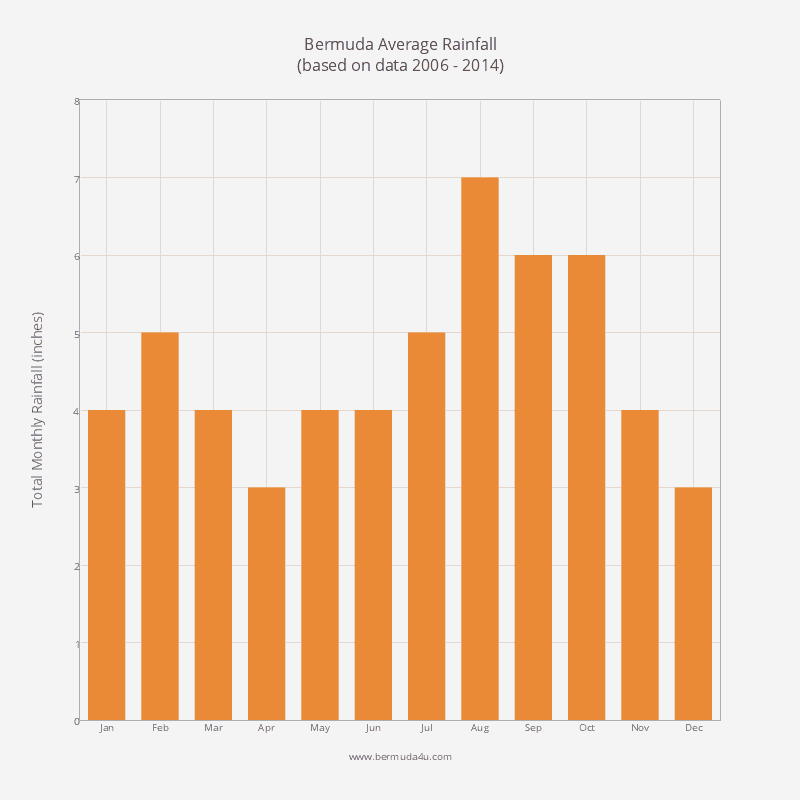 The month falls in Bermuda’s official hurricane season, though a major hurricane only affects the island every 7 years or so. 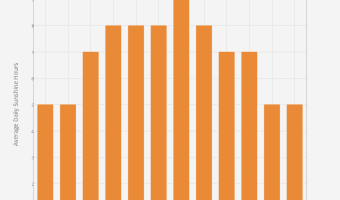 They are far more likely to hit in September or October. Sir George Somers and the first British colonists arrived in Bermuda in July 1609. The table below shows the average daily high temperature in July has been 84 F in recent years, making July the second hottest month of the year. 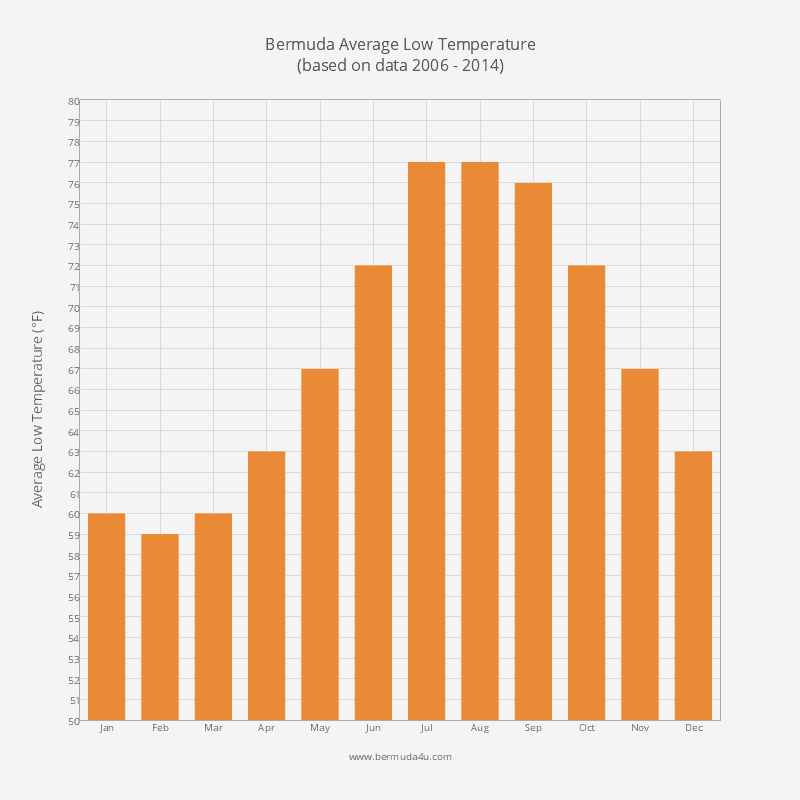 The average daily low temperature over the last few years has been 77 F.
The mean daily temperature in Bermuda in March has been 80 F over the last few years. The average sea surface temperature for the month is 83 F, almost the warmest it will get all year. Expect around five inches of rain. 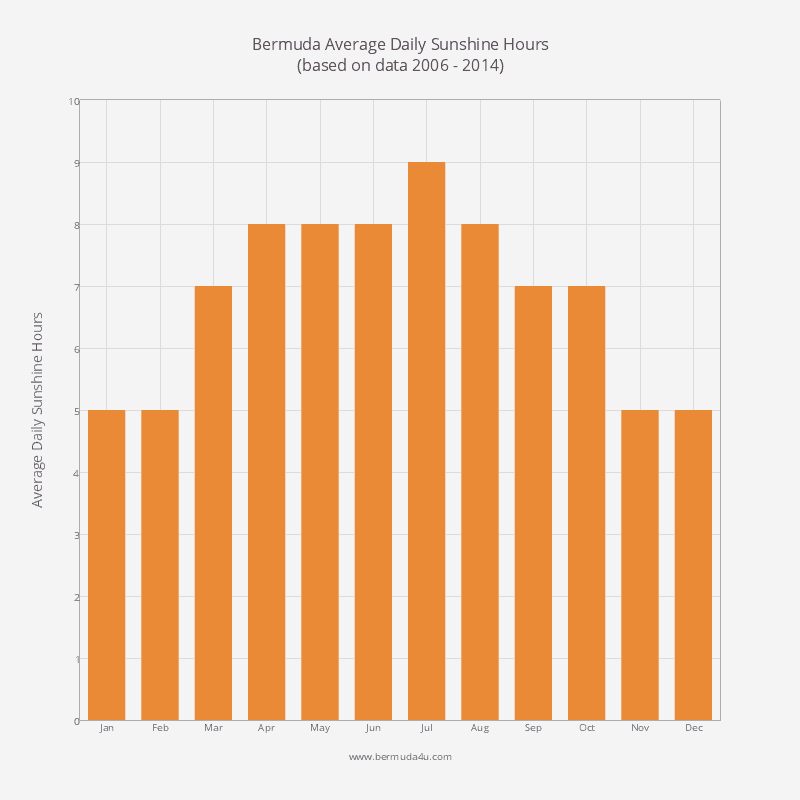 July is the sunniest month of the year in Bermuda. 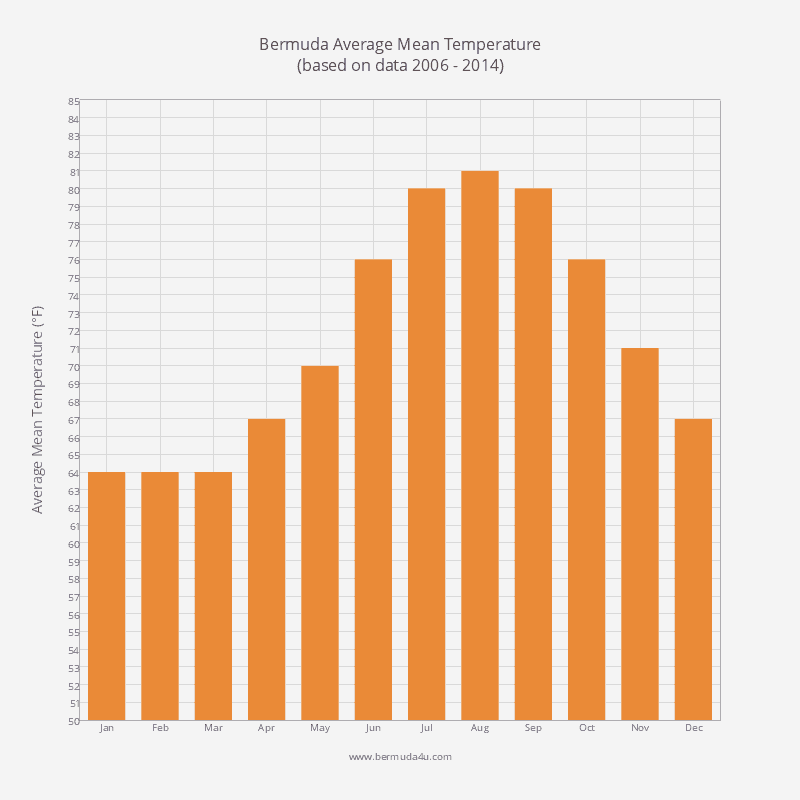 July is one of the most humid months in Bermuda. 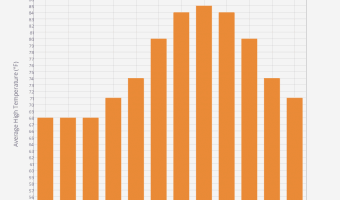 In recent years humidity has averaged 76.9 percent. 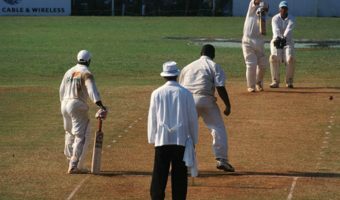 Believe it or not, every year the whole island shuts down for two days for a cricket match.